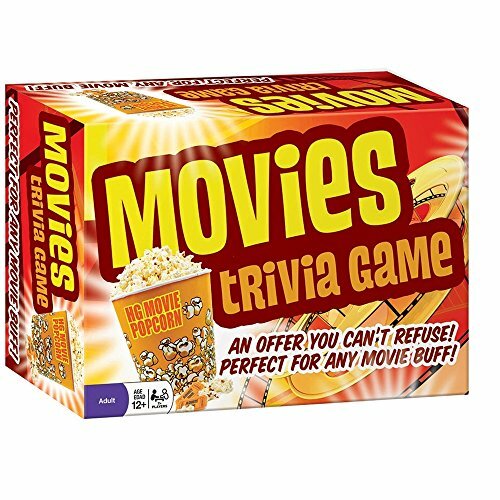 Movie Trivia Features 1200 Fun Trivia Question Cards. Test your knowledge of comedy, action, drama, sci-fi-horror and awards. 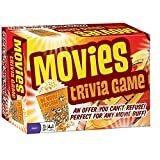 Win the Movie Buff Bragger title when you beat your friends and family at Movies Trivia game night. Easy set up and there are no complex rules or pieces, so you get right to having fun. Great for large groups, ages 12 and up. Brand new in box. Fast free shipping.